My first and favourite guitar of all time. I'm now the proud owner of 3 early '60s Kalamazoo FT Cortez. I always get compliments on their beautiful sweet mellow tone. And I think they're beautiful. The deal is, my 65 Texan was an inexpensive alternative to the banner J 45 I really wanted. Fantastic guitars. Hey Doc-lovely collection. Is there any way you could mic them and share their sounds with the rest of us? It would be very interesting . 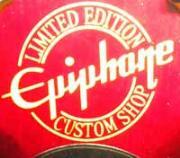 The information that I have is from 60-70' the Epiphone were made on the same line as the Gibson. Only after 1970 did they go to Japan. Yes, a Fronteer from that Era is highly desirable but they are pricey. 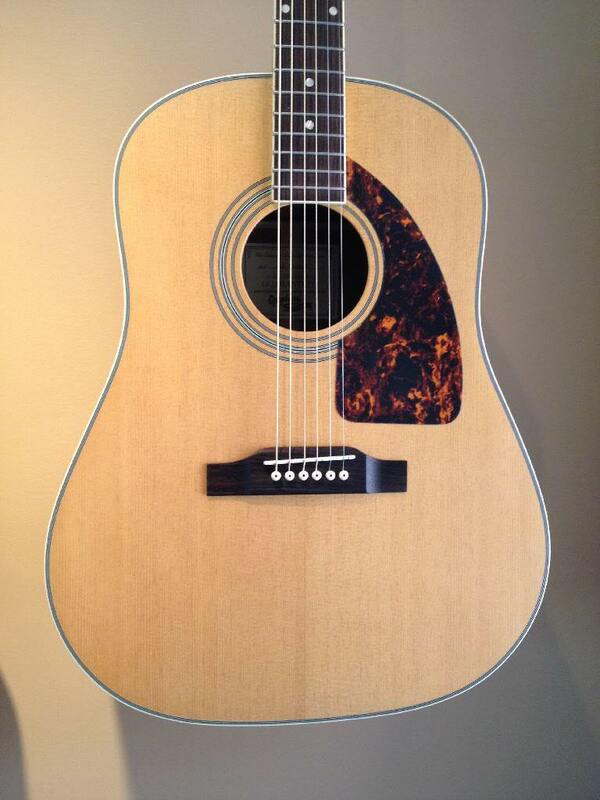 I only have one Epi Acoustic so far, but IMO they have made so many beautiful ones. 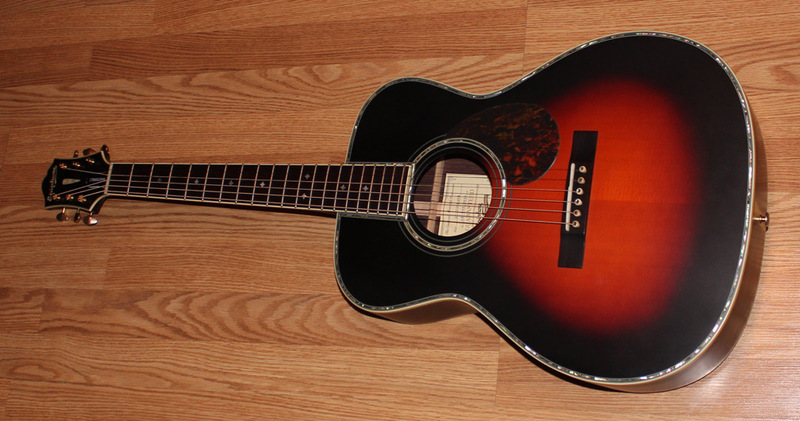 So, I would have to go for the one that I own...Masterbilt DR-500RANS. 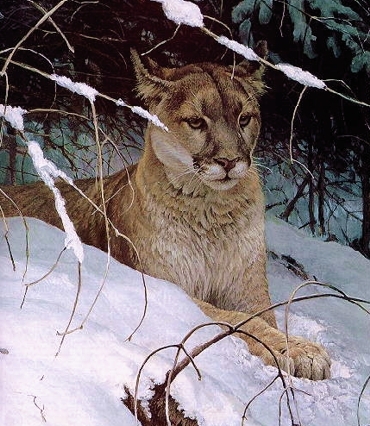 I wanted to post a nice picture of it here, but for some reason it is not letting me...saying the file that I can attach can only be 43k, which is weird, but oh well. 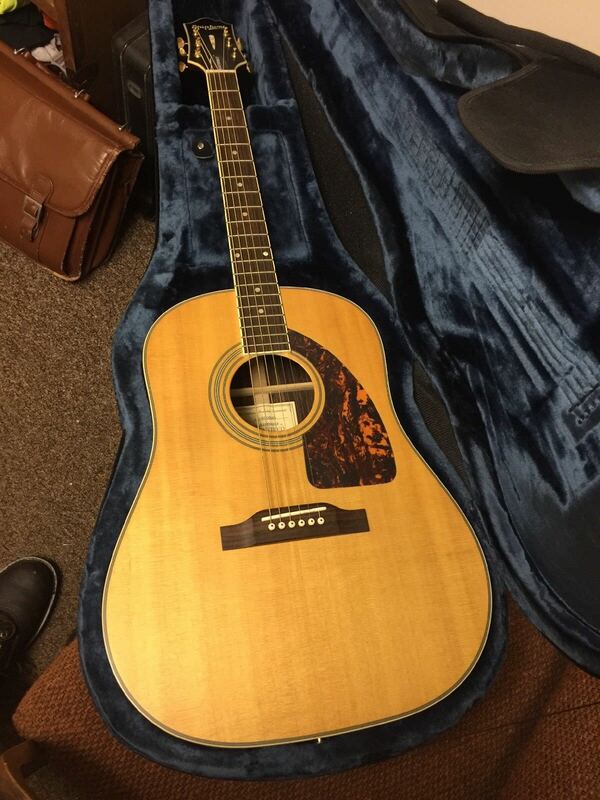 Wow...beautiful guitar!! I have a DR-500RA, which is basically your guitar in the DR Series. Mine is in Natural Satin(NS) though. Thanks, Jase. Welcome to the boards. Glad you got that photo posted. Nice! Yeah, I had an EF500RANS but opted for the RAVS when it came along, which happened to come with nice fossilized walrus ivory bridge pins and saddle. It's got great tone. My vote goes for my 91 SQ 180 (I also have a 94 and an 06). 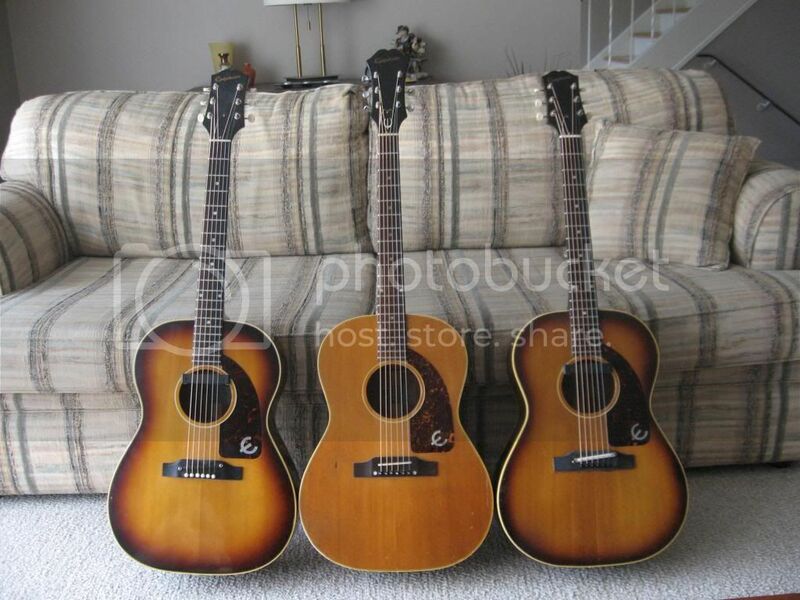 Per Gibson's former web page manager and assistant historian, the 89, 90, and 91 models were all made in Gibson's Bozeman MT plant not that long after Gibson acquired Flat Iron. 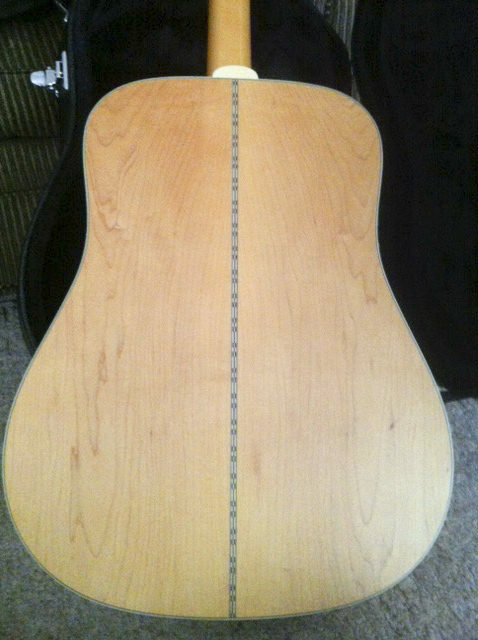 Solid spruce top, solid maple back and sides. 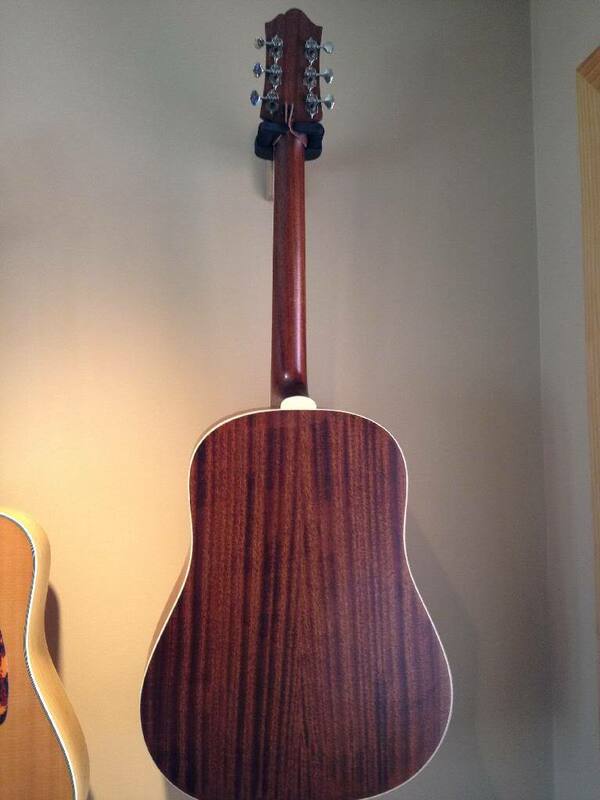 Only part of guitar made in Korea was its neck, which is narrower than the Gibson J 180 (1.65" at the nut on the Epi). 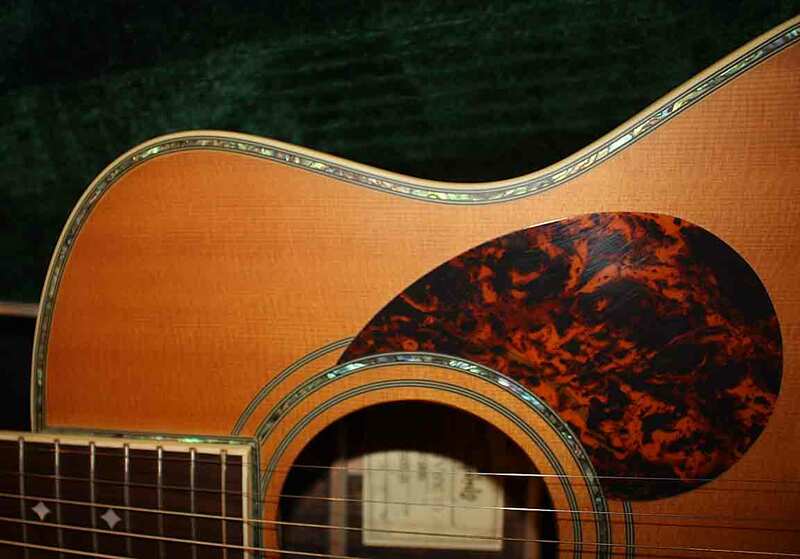 Trade regs at the time required that if any part of the guitar was made in another country, the product was labeled as such. Per the former Gibson employee referenced above, he has seen the production runs for those three years out of the Bozeman plant, and these were made there. My 94 is all laminate, and I switched out the plastic nut, bridge and pins for bone. Greatly improved the sound, but sounds nothing like my 91 which goes to a different level totally. Has that percussive, punchy Everly Brothers/J-180 sound that you recognize instantly. These 89, 90 and 91 models turn up on Ebay for $400 to $600 on occasion (one on there now to be bid on starting at $450). I found one in mint condition in Nashville and paid $950 for it and haven't regretted it one bit. Have played it with guys who have J-180's and I'd put this up against those any day. After playing it, the reaction from Martin, Gibson and Taylor players is "hey, let me see that thing." AJ-45ME is my favorite so far. It would have to be the only one I own. FT 155, it can sing. Epiphone Masterbilt® De Luxe Classic, my favorite so far! 1964 Bard on the right. 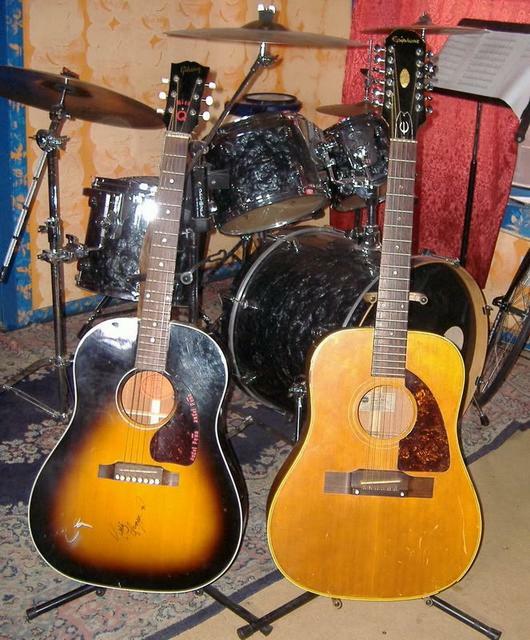 My favourite Epiphone acoustic models are the Excellente and Frontier (with the cactus & rope pickguard). Nice! How is it plugged in? With that adjustable saddle setup, I don't see how it could have undersaddle electronics. But it's got nice hidden controls in the f-hole! Wait a minute. 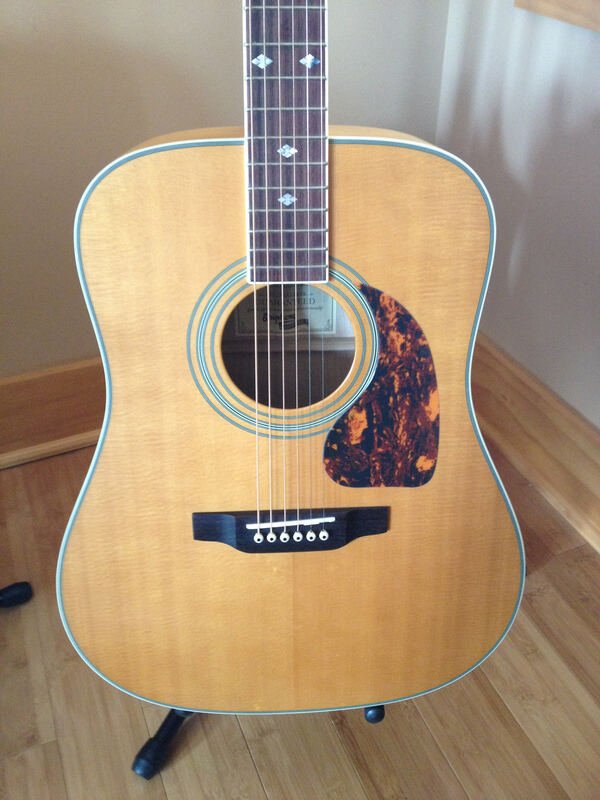 Do I see ebony fretboard in the specs for this guitar?